I know telling ‘Groceries are a part of daily life’ doesn’t make sense. But, you’ll be excited to see how these groceries have gone online. The tremendous increase in the number of people installing grocery apps in their phone tells us about the demand for grocery app development. 2018 online grocery sales in the US has amounted to about 17.5 billion U.S dollars. And by 2021 this rate is expected to grow to 30 billion U.S dollars. While this rate is rapidly growing, the possibilities for your grocery app to be a smash is guaranteed. 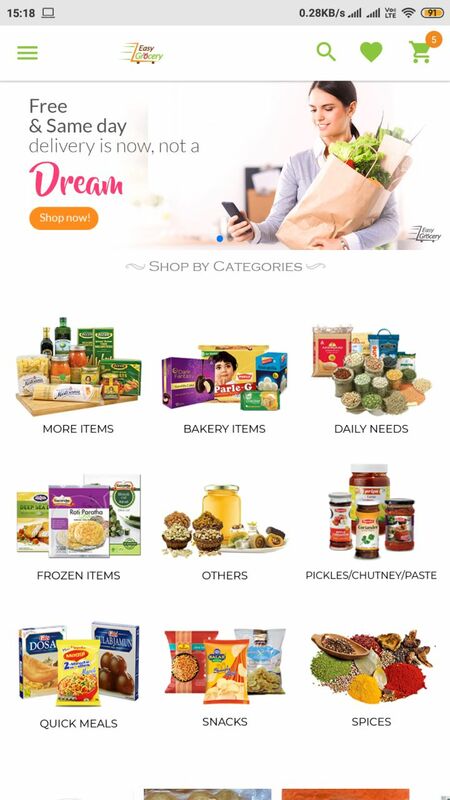 Why grocery app over a website? 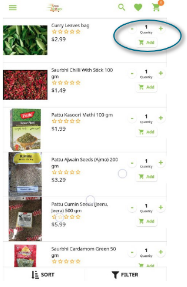 The online grocery sales giant- Bigbasket and Amazon fresh shows that apps for the grocery store are always gonna be a hit. BigBaskets has more than doubled its sales and has crossed INR 1000 crore. Before getting into how a grocery app can help you increase sales, let’s take a look at what your consumers are expecting when they prefer purchasing online rather than walking into the nearest outlet. How developing a grocery app can benefit your online business? Groceries are brought by every individual, and at the same time, smartphones have become inevitable. This is a perfect circumstance to transform from your business from E-Commerce to M-Commerce. People tend to buy products from a well-known store. 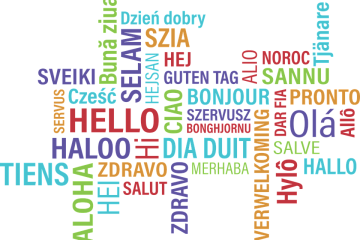 A word of mouth is spread, which helps in driving new customers to the store. Besides, a mobile app is a reminder about the brand that you have built. Everytime the user opens the mobile app, the icon and name of your store will be seen. Can branding be more effective than this? I doubt it. The mobile app offers a pile of methods to increase brand value. For example, to increase the brand value, Through apps, you can appreciate the shoppers by giving a refer and earn. Choosing a consistent app design with your website can make the users feel comfortable and people prefer that. Monitoring the user’s behavior lets you get to know more about their shopping habits. For example, you can learn what time they prefer shopping, the top-selling products. Furthermore, you can know the user’s favorite payment gateways. With mobile apps, you can find out, in what product and services your customer is exactly interested in. You can monitor all the activities of your users in your app. For example, a shopper has opened a product, he added it to the shopping cart and he has abandoned it. With the app analytics, you can monitor all these activities step by step. 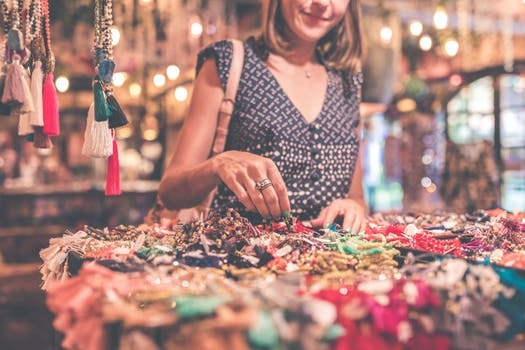 As an action to this, you can send a push notification to that customer, and offering a special discount can help you retrieve the customer and increase sales. Having active users all around the clock for your business is the first advantage of grocery apps. In order to engage the users with the store, you can send push notifications and Emails. Customer acquisition is more difficult than retaining one. But an app is a perfect app platform for improvising loyalty programs. With regular discounts and providing payment with a brand’s loyalty cards, you can attract more customers. In order to increase customer engagement, a majority of the brands take advantages of mobile apps. Appmaker is renown app building platform. They have been helping the online business to boost sales and increase brand value. Let’s look at an example of an app that is built with appmaker. The apps that are built with appmaker can hold any number of In-app pages. All the In-app pages that are build here are easily customizable. The above In-app page is built with appmaker’s top widgets. It’s not just a banner and product scroller, Appmaker provides 8 widgets that can be added and managed from the dashboard (Just like a CMS) without any difficulties. 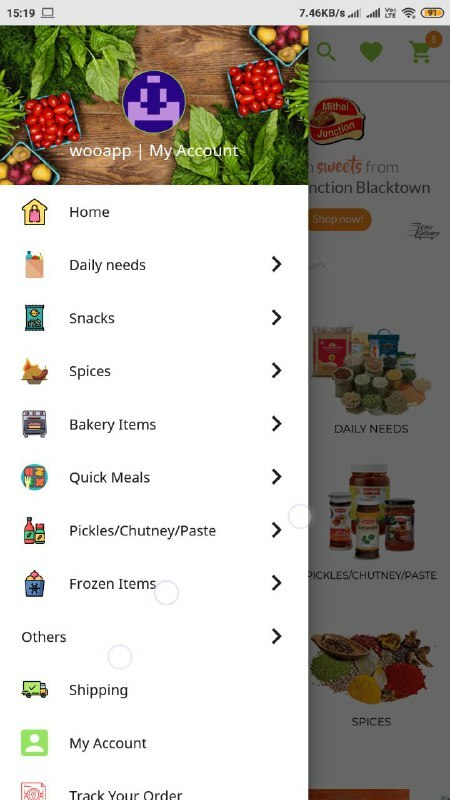 Grocery mode is a unique feature that is provided by appmaker. While shopping, a varying quantity of the same products are brought by the users. 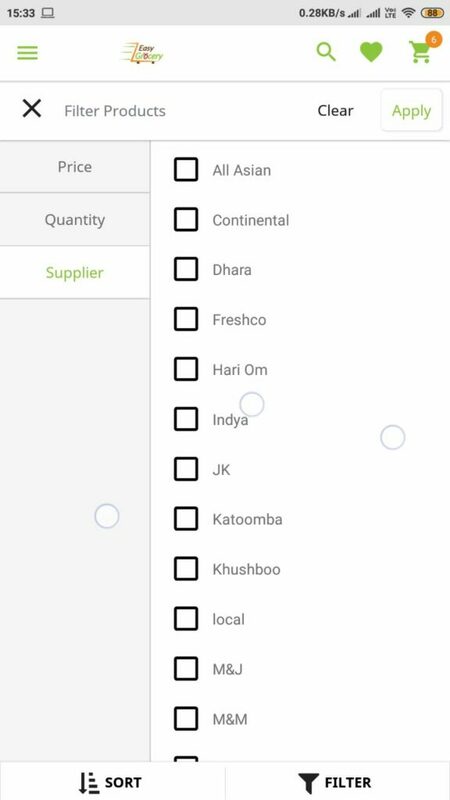 The users can choose the number of products even without opening the product inside the app. To make this easier, the store owner can add a quantity button in the pages. Grocery app helps your customers to shop in an organized fashion. The navigation menu provided by appmaker lets the store owner showcase all the categories of products, checkouts, shipping, online chat, order tracking and more. Add to cart and wishlist for your grocery app in all the In-app pages, and product pages increase the likelihood for the users to buy the product. Appmaker provides a cart page where the users can view their cart before they checkout. Adding a Wishlist to your Grocery app lets the users save the product for buying it later. A wishlist lets the store owners view the products in which a user is interested. You can send customized push notifications to the users and drive them to buy those products by offering attractive deals and offers. Within a single app, you can sell products from multiple vendors. 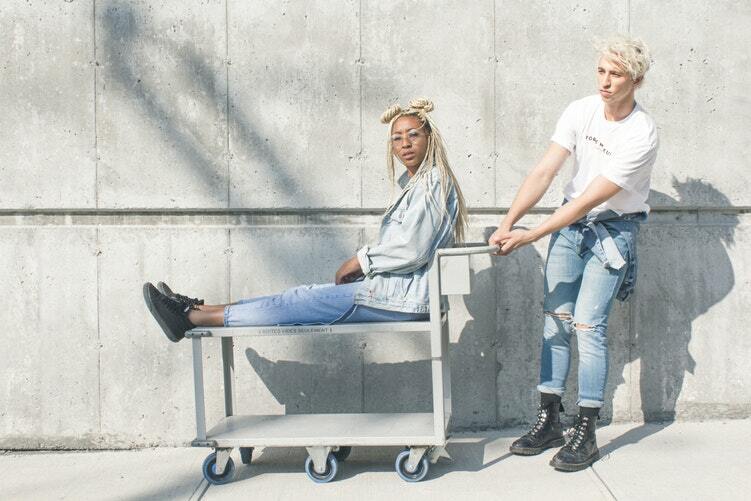 This is a feature liked by most of the online shoppers. Let the users decide from which vender the groceries have to be bought. Furthermore, you can add this feature to the product filter if required. Deals and offers are always appreciated by shoppers. According to the American psychological association, 50% of Americans prefer buying popular and products that are available with discounts. A grocery app is a perfect platform for providing discounts and offers to your customers. This doesn’t imply that high discounts should be given. Even with a minimum offer, you can make sure that the customers do not miss a product. A grocery app is essential for the growth of your online business. 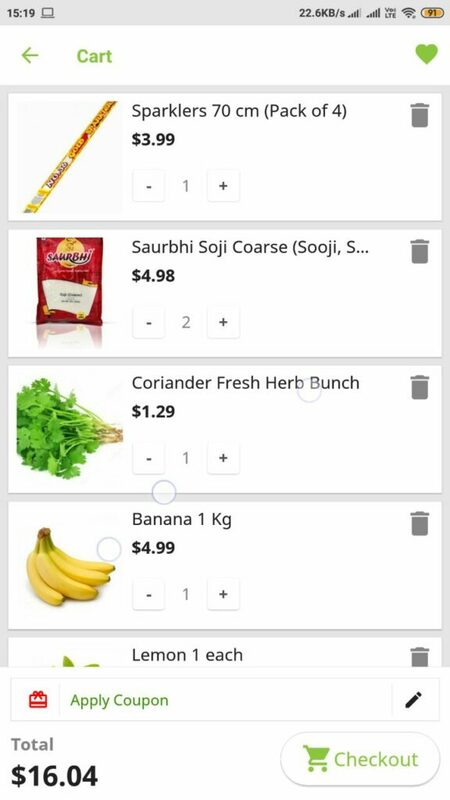 A grocery app builds with appmaker lets you explore and enjoy all the advanced features which an app should have. In the usual scenario, Building an app and managing it at the same time can cost you more than $10,000. appmaker lets you own and manage your app at a reasonable cost. Now you can take a look at how your store’s app will look like. Book a free demo and learn how to manage your app easily from your browser. Get your grocery app now!